Did you have friends, as you were growing up, whose parents were cool? I did. And as the daughter of decidedly uncool parents, I made a conscious decision that I was going to try to be one of those cool parents, if I ever got the chance. There are days when I fail miserably. (Let's face it; there are lots of days when I'm not cool.) But there are also days when I knock it out of the park. It's zucchini season around here, and my kids are not exactly zucchini lovers. They tolerate it, but like Bartleby, they'd prefer not to. I offered the single leftover piece to my son for his camp lunchbox the next day, and he was thrilled. When he came home, he told me how all of his friends were jealously ogling his chocolate cake for lunch; he explained, "well, it's zucchini, so it's sort of healthy. And it's homemade, so it doesn't have lots of junk in it. But it's still cake." Oh yeah, I thought. I've arrived. I? Am COOL. Tonight, as I was making zucchini curry with N., she mentioned that she really doesn't like zucchini. I reminded her of the cake. "Well," she said definitively, suspiciously eyeing the wok where the coconut milk and curry paste were simmering, "I have a good idea! We should be making cake!" Preheat the oven to 325℉. Grease the inside of a 9 x 13" baking pan and line the base with baking paper. Combine the flour, cocoa, baking soda, baking powder, cinnamon and cloves in a medium bowl and set aside. Beat the butter or margarine, oil and sugar in a mixing bowl with an electric mixer on a medium speed until smooth, about 3 minutes. Add the eggs one at a time, beating well after each addition. Add the buttermilk and vanilla and beat until just combined. Reduce the mixer speed to low, add half of the flour mixture, and mix for 15 seconds. Add the remaining flour mixture and beat until just incorporated. Scrape down the sides of the bowl, then beat for 5 more seconds. 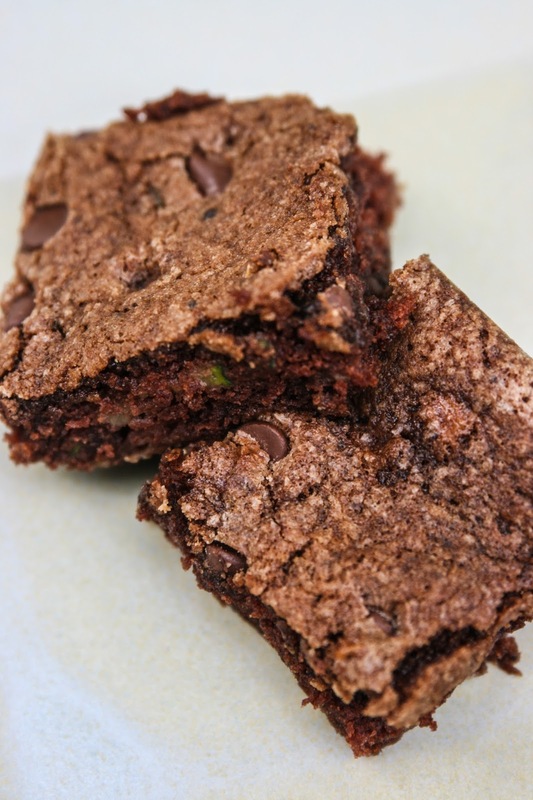 Stir in the zucchini and half the chocolate chips. Scrape the batter into the prepared pan and sprinkle the top with the remaining chocolate chips. Bake for 35 to 40 minutes or until a tester inserted in the center of the cake comes out clean. Transfer the cake to a rack and cool completely in the pan, about 1 hour. Devour. 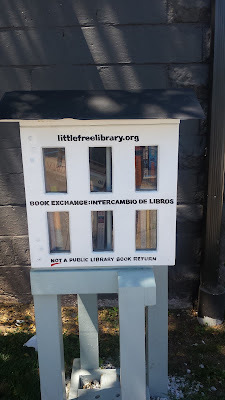 Our Friends of the Free Public Library (of which I'm a board member) built and maintains three Little Free Libraries in town, where we occasionally drop off books that people can take home, circulate ones that don't move, and clear out junk that gets left by others. I go by at least once a week, and sometimes I wonder how people decide what to put in there, and what it says about what we think about what's good literature, or what it says about what and how we share with people we don't know. If you had a Little Free Library in town, would you drop off the books you love, or the books you need to get rid of? Do you give away things that mean a lot to you, or things you don't care about at all? What are you willing to share? What would you hope to pick up? Do you have a Little Free Library in your town?